Sorrel is a slightly lemon flavoured green perennial herb used as a delightful tangy salad green and is also known as Buckler sorrel. 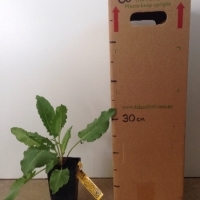 It is a refined plant that grows as a clump reaching 30-40cm with leaves 4-6cm across. 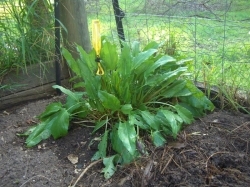 It is a very hardy plant that will continue to flourish when the rest of your fresh garden greens are suffering either from heatstroke or the chills. Sorrel is best located in the full sun or with some afternoon shade and loves rich well-drained soil that is kept fairly moist. 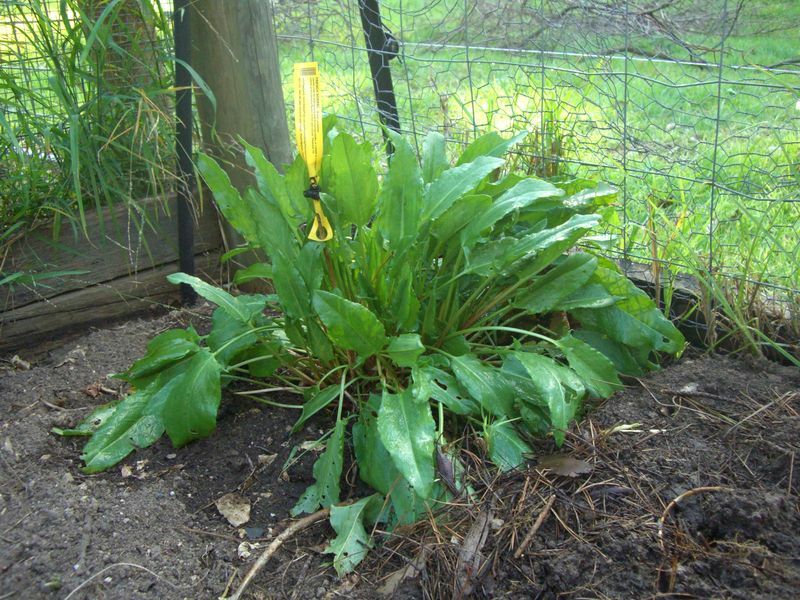 The sorrel is in a shady corner of our vege garden in shallow soil. It survived last summer (which was monumentally hot and dry) without any trouble. 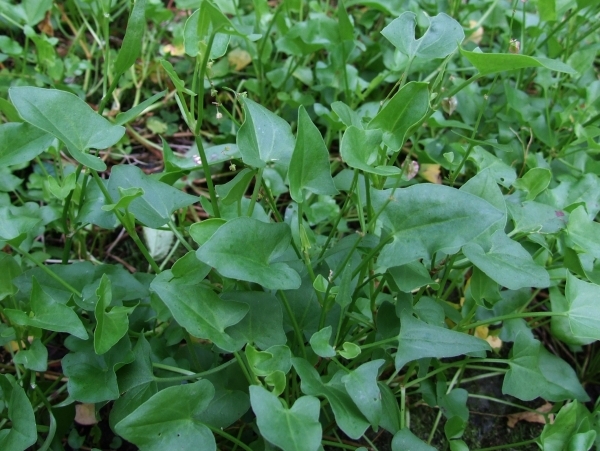 It grows steadily and does not overtake other plants, even without picking the outside foliage. It makes delicious soups. Took a while to get going and was eaten fairly severely by garden weevil when I first planted it, but over this winter has been flourishing. 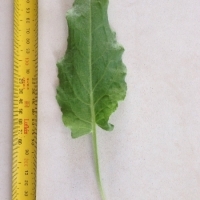 Sharp tasting, semi-crisp leaves great in salads. Can also use in soups . Continual harvest. Comments: - Nice lemony flavour. Great in scrambled eggs, but the heat does discoulour it.